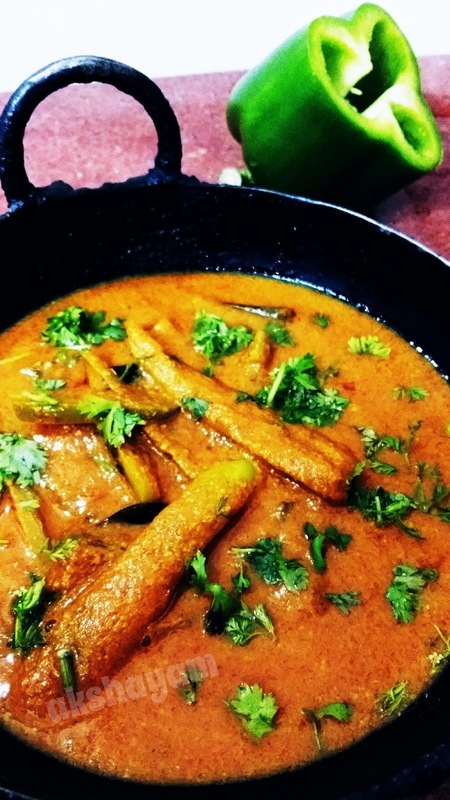 Mirch Ka Salan, a typical Hyderabadi dish, the very mention of which can get our taste buds tingling!!! 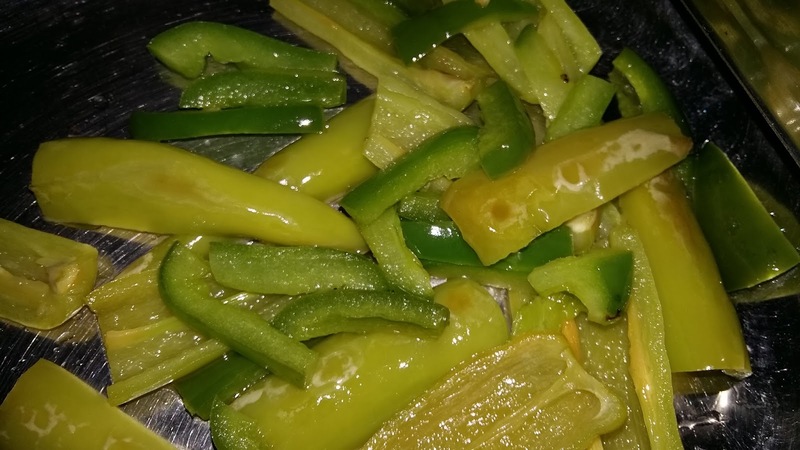 Salan, or curry, is a popular base that is combined with several vegetarian and non-vegetarian options - Mirch, Gobhi, Gosht and many more, list would be endless. 1. Wash and slit the chilies. De-seed and fry in oil. Or you could shallow fry in lesser oil, which is what I did! Drain and keep aside. 2. Heat 2 tbsps oil in a pan, add jeera, mustard seeds, methi seeds and curry leaves. Let crackle. Now add the ground paste and stir well. Let cook for about 2-3 minutes. 3. 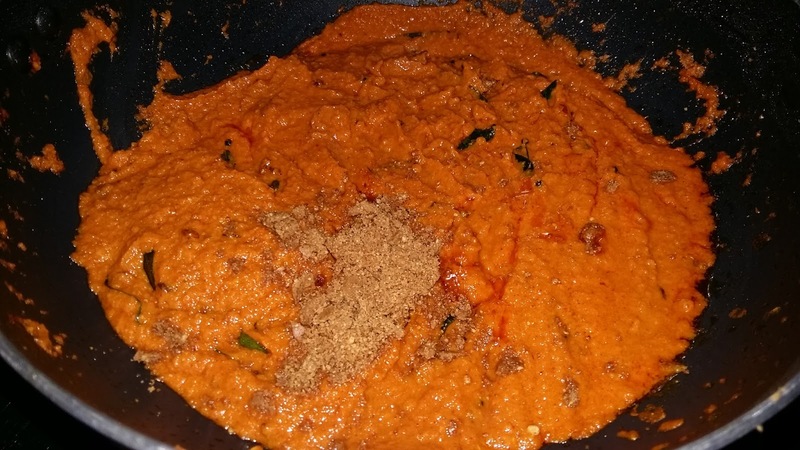 Add the dry masala mix to this gravy and stir again. Let cook on a medium flame till oil starts to separate. Add 2 cups water and tamarind pulp and bring to a boil. 4. Finally add the green chilies and capsicum , along with chopped coriander. Check for salt and let simmer on low till gravy thickens.